Fashion Polish: Color4Nails Valentine's Day exclusive duo : Lacquester Currant-ly Available & Tonic Polish Be My Violet-tine! 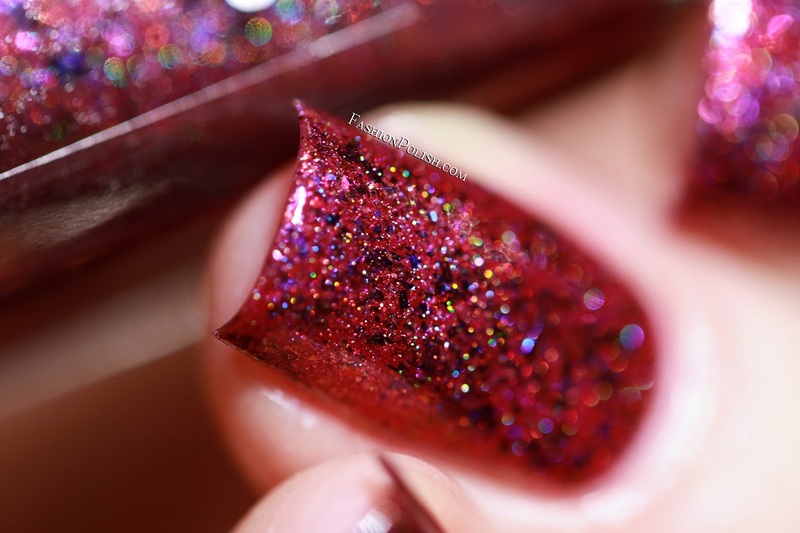 I'm back today with swatches of the latest addition to the Color4Nails exclusives with a Valentine's Day duo featuring Lacquester & Tonic Polish. If you're looking something a little different this year, I strongly recommend giving these a closer look after the jump. 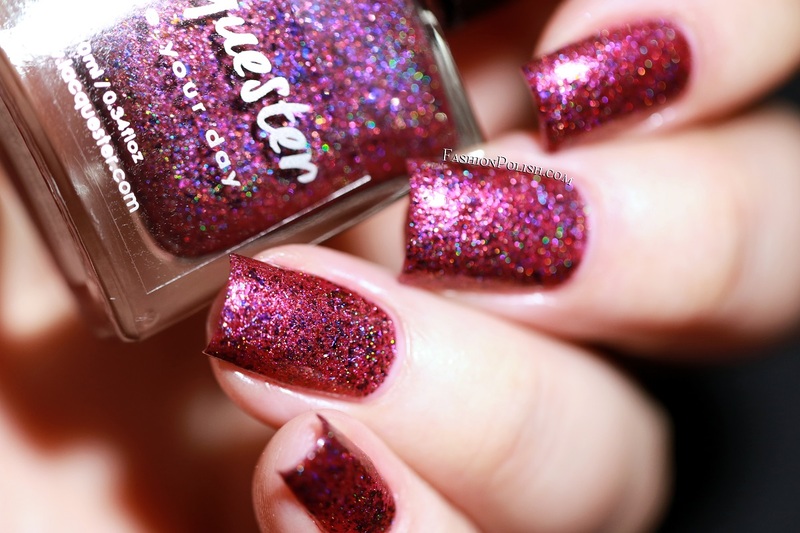 Lacquester Currant-ly Available is a warm purple holo with a subtle copper shift as well as a heavy mix of multichrome flakies. It's complex without being too overwhelming, I really love it! Formula was smooth and self-leveling. I used 2 coats plus topcoat in my swatches. 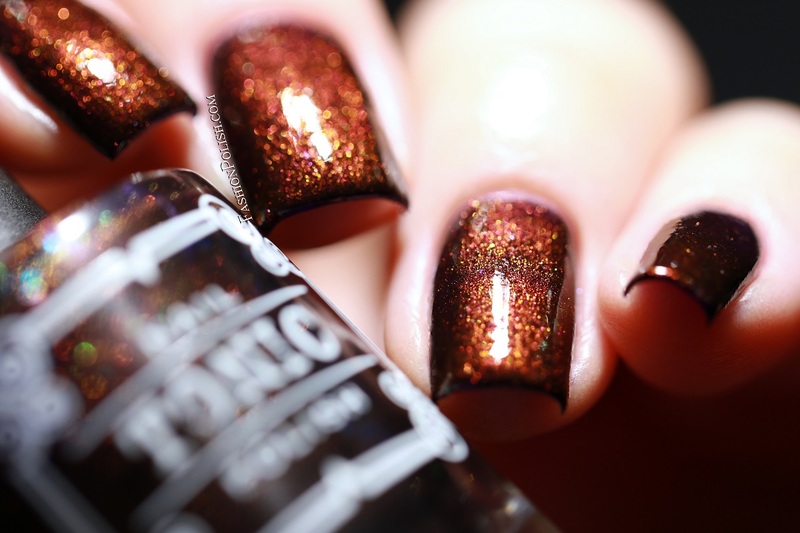 Tonic Polish Be My Violet-tine is a dark burgundy that consists of a deep blurple base filled with red to gold (and green on extreme angles) color-shifting shimmers and a scattering of orange to green duochrome flakies. 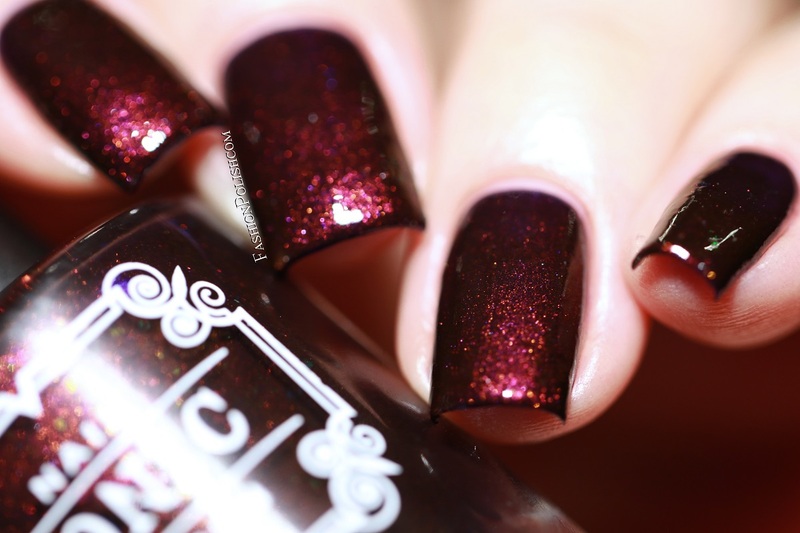 You probably all know by now how much I loooove vampy polishes so you can pretty much guess that this one's right up my alley. Nice and easy to work with, I used 3 coats for maximum depth. 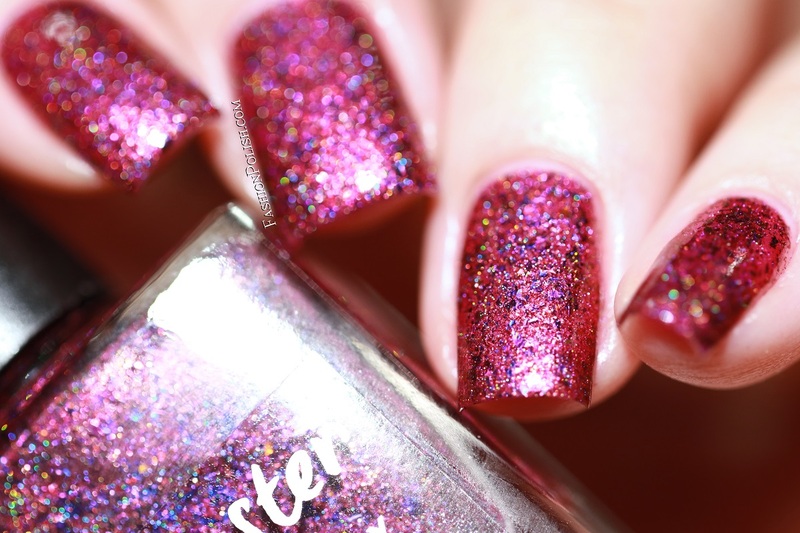 The Lacquester and Tonic Polish Valentine's Day duo is launching Tuesday February 14th exclusively on Color4Nails.com (100 sets available to ship and possibly a few more on preorder afterwards).